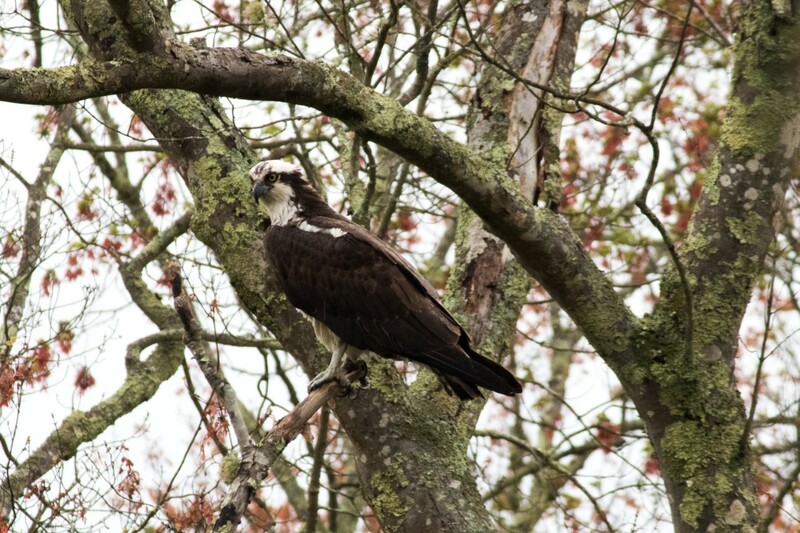 Happy Spring Equinox, everyone! 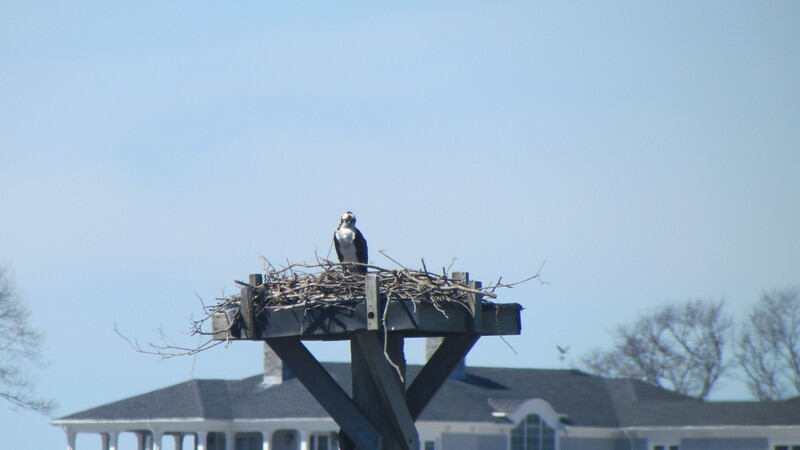 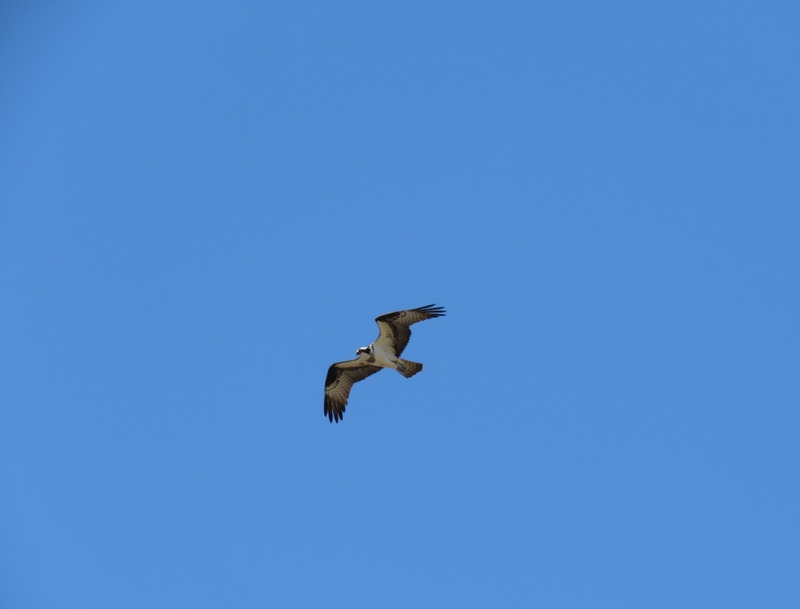 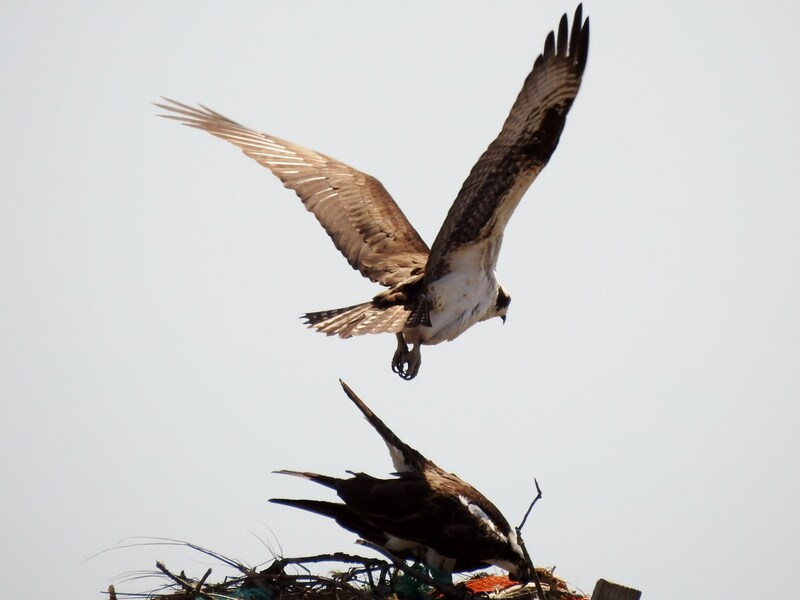 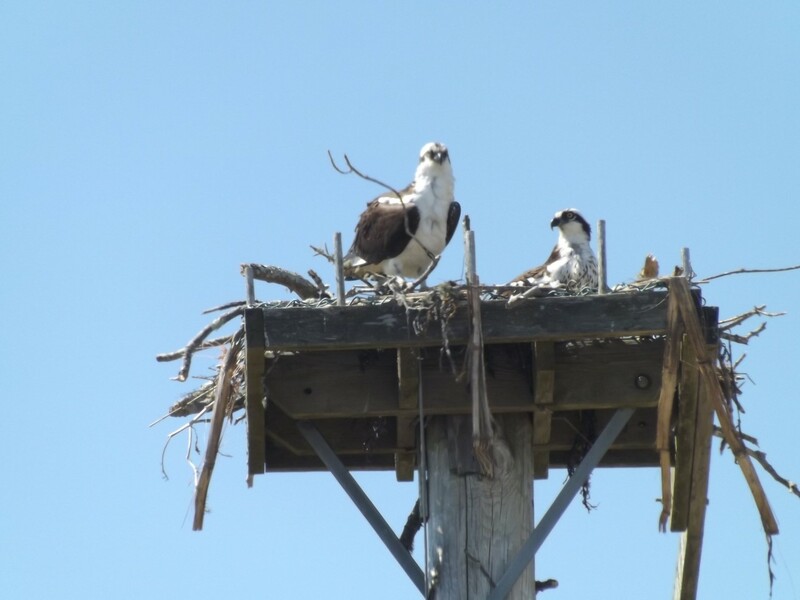 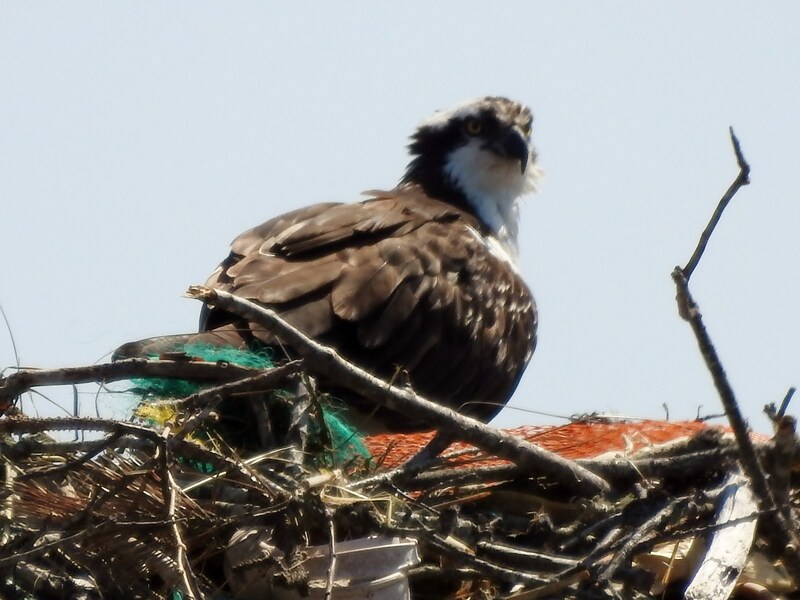 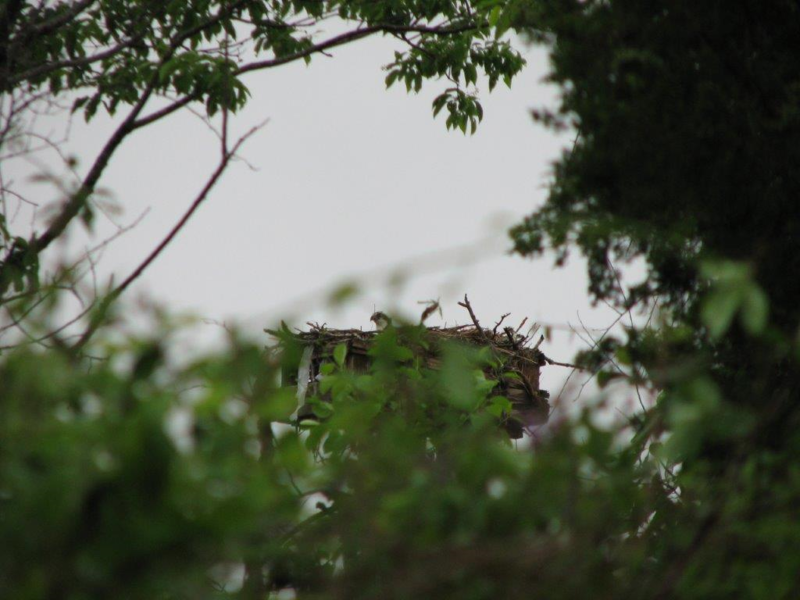 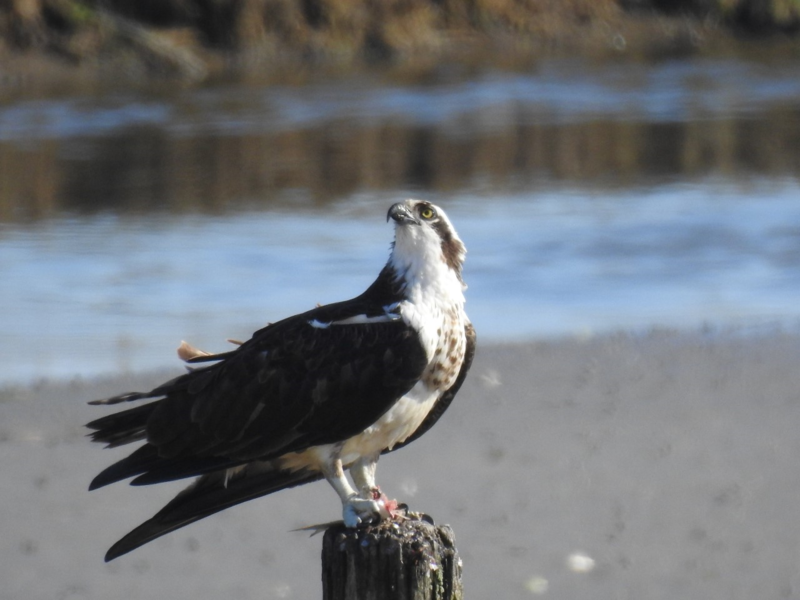 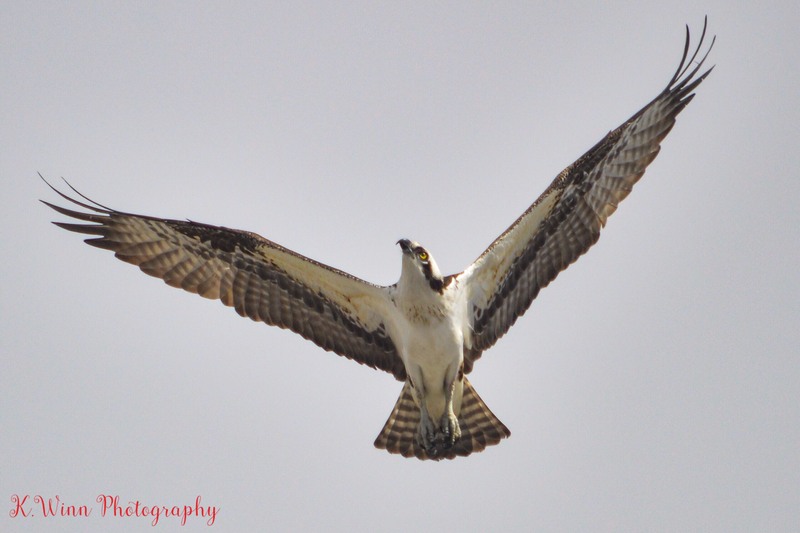 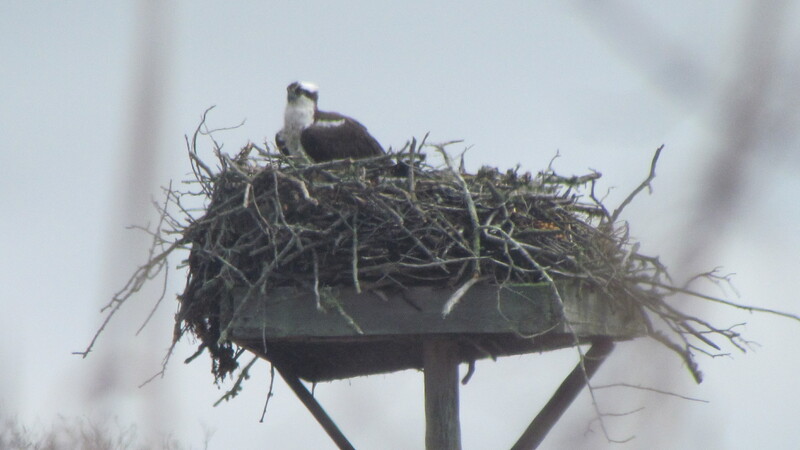 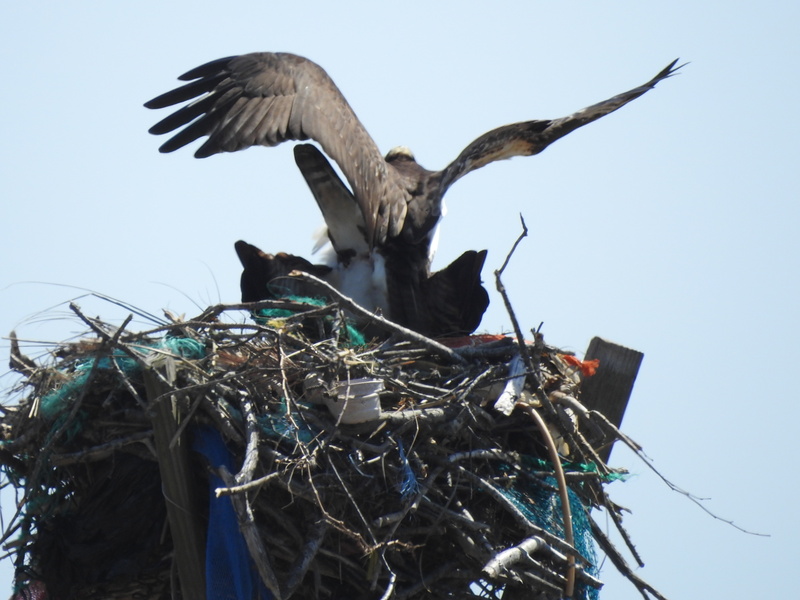 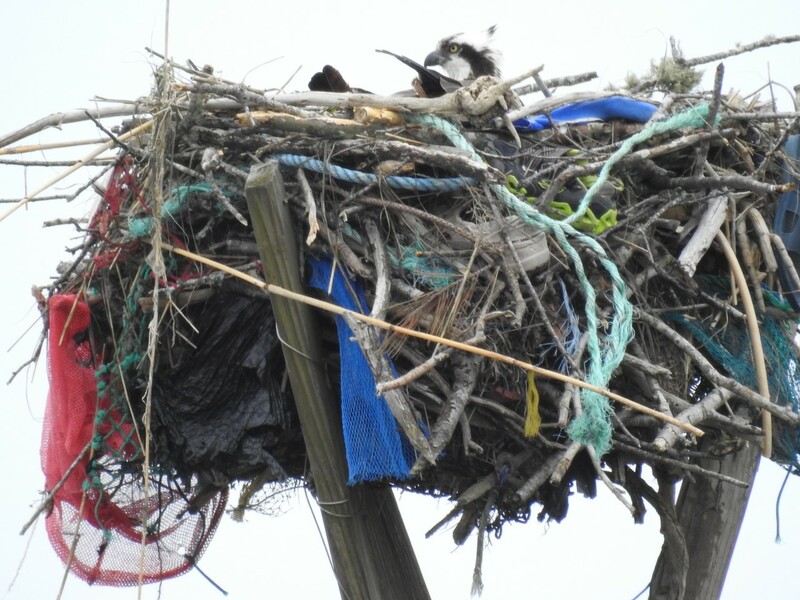 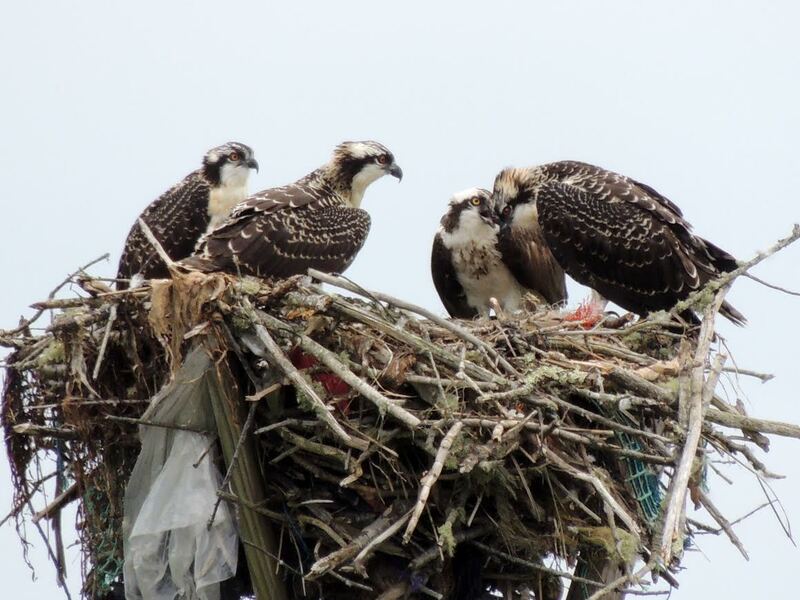 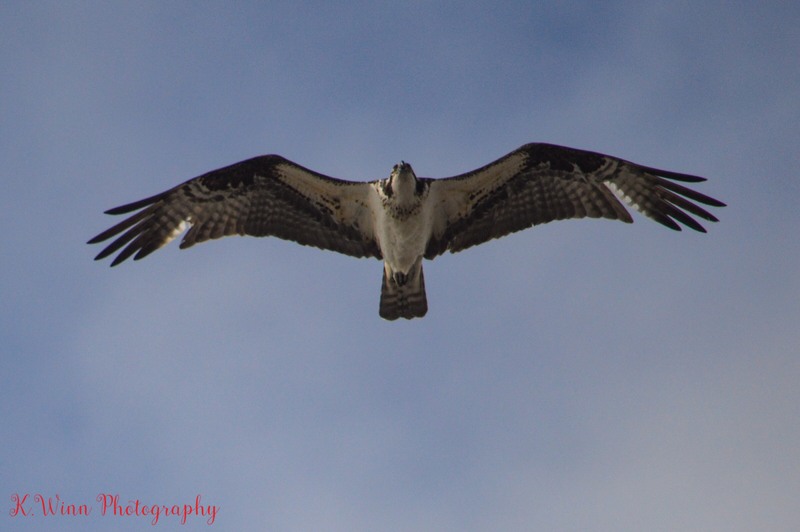 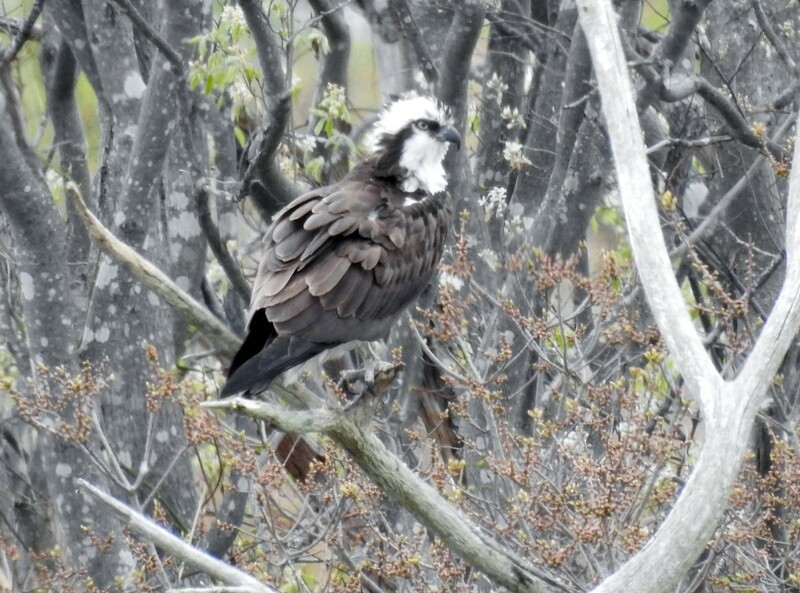 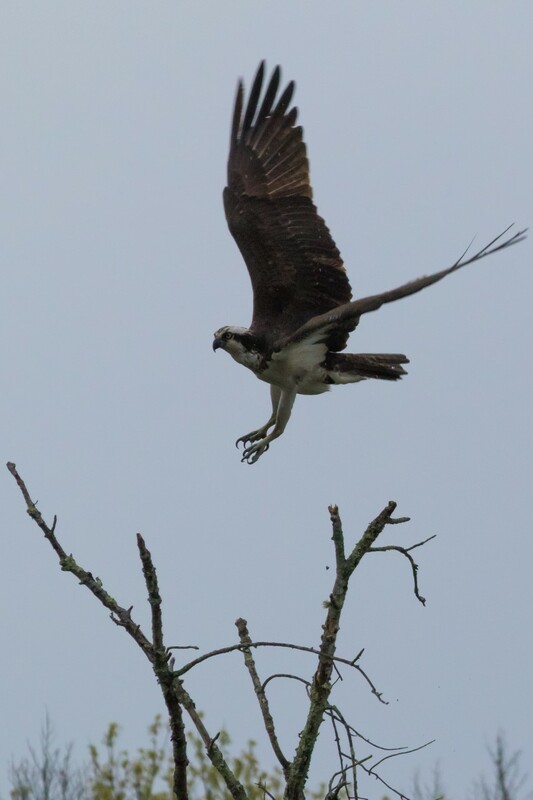 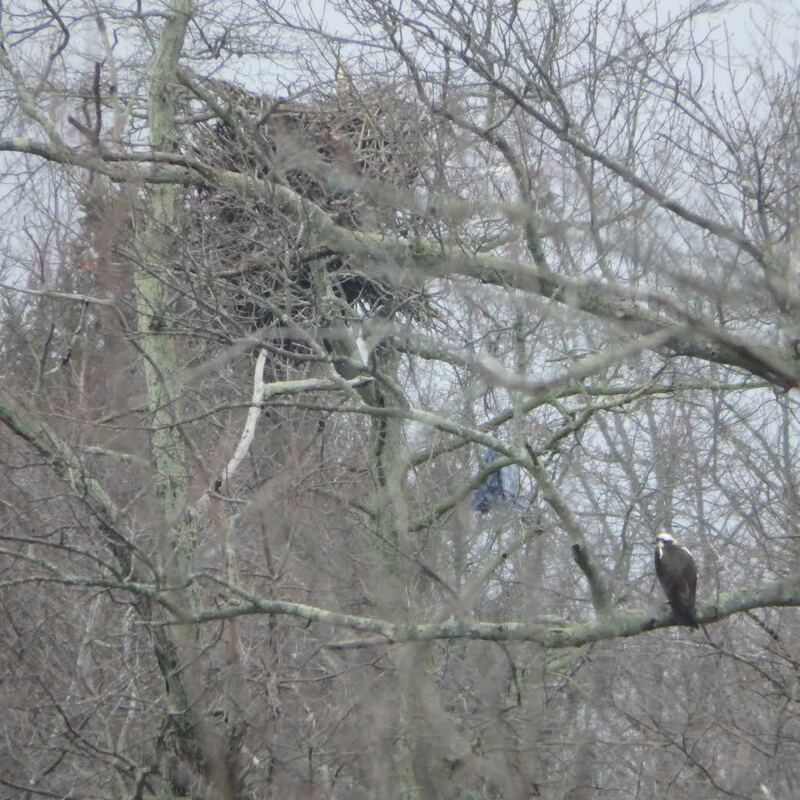 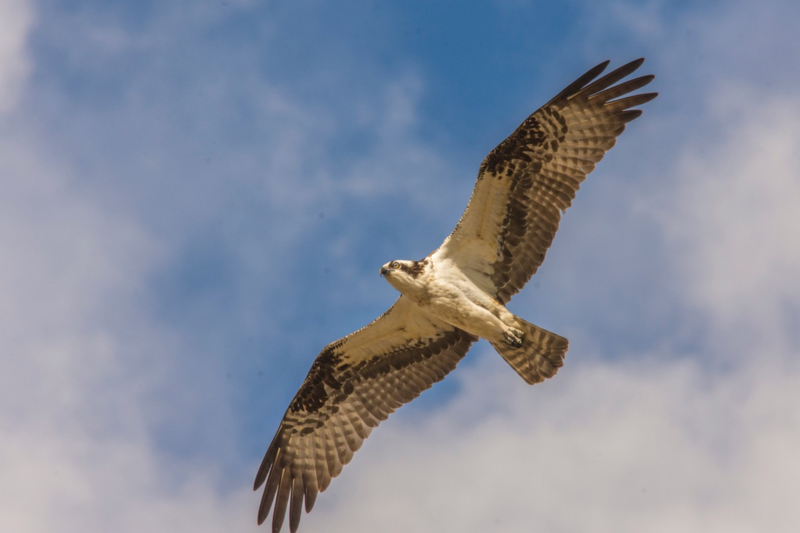 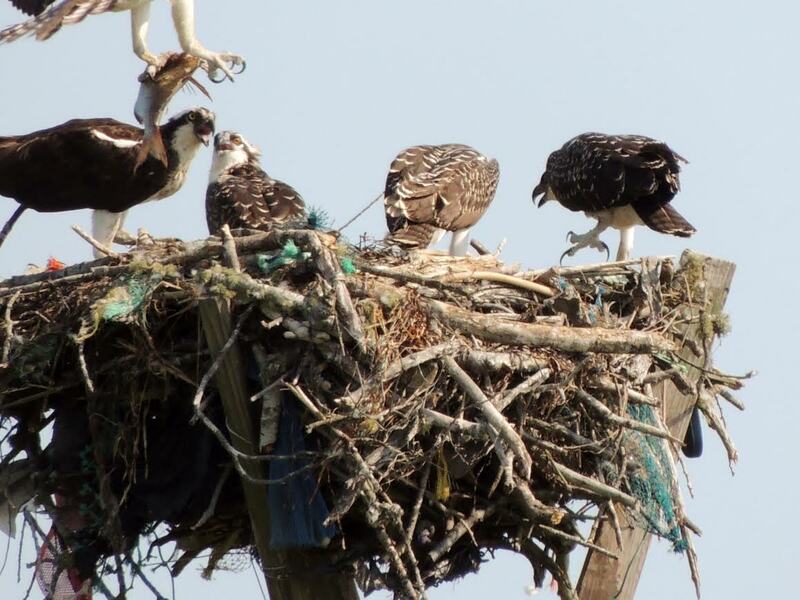 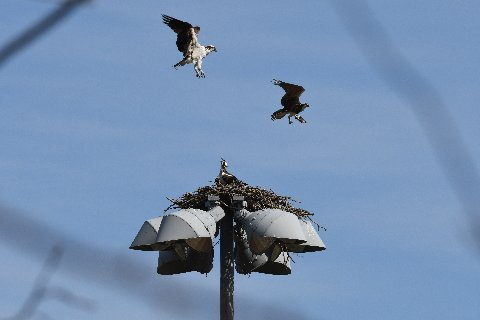 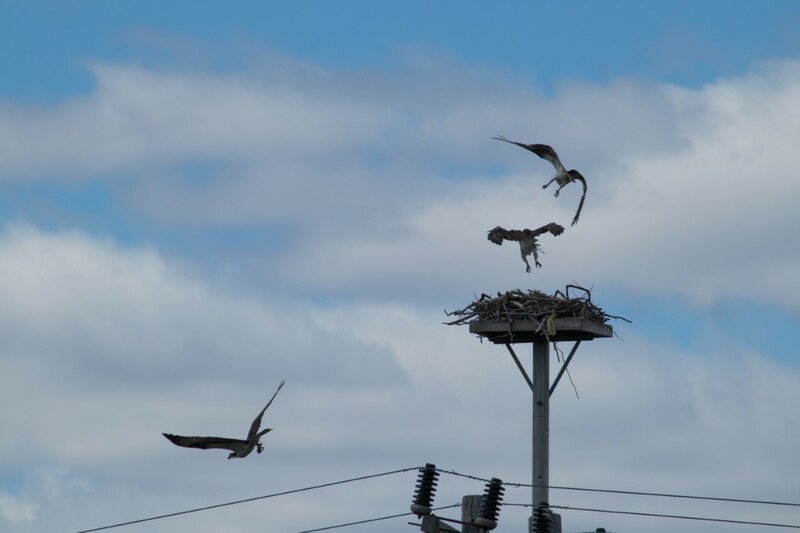 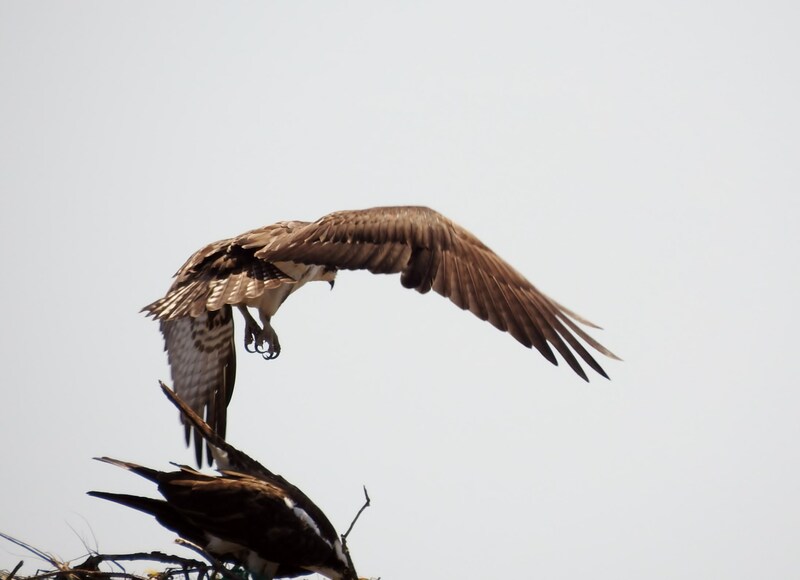 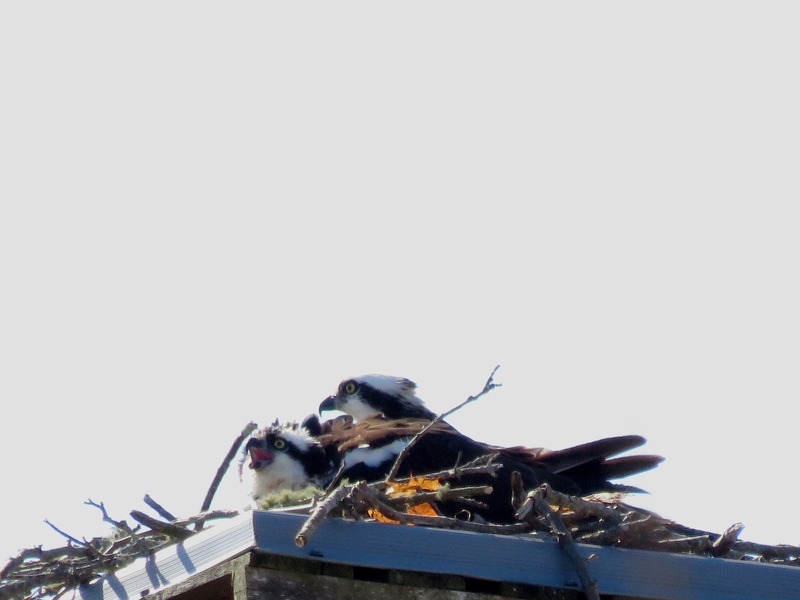 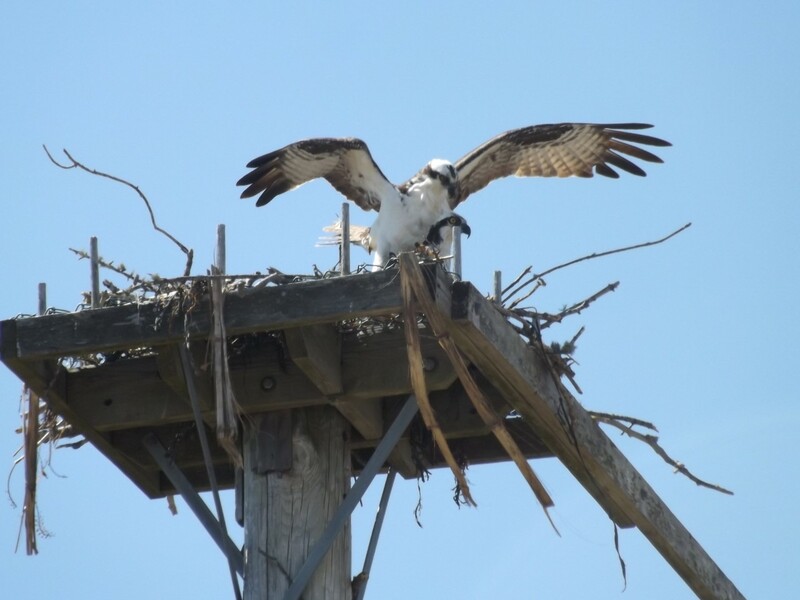 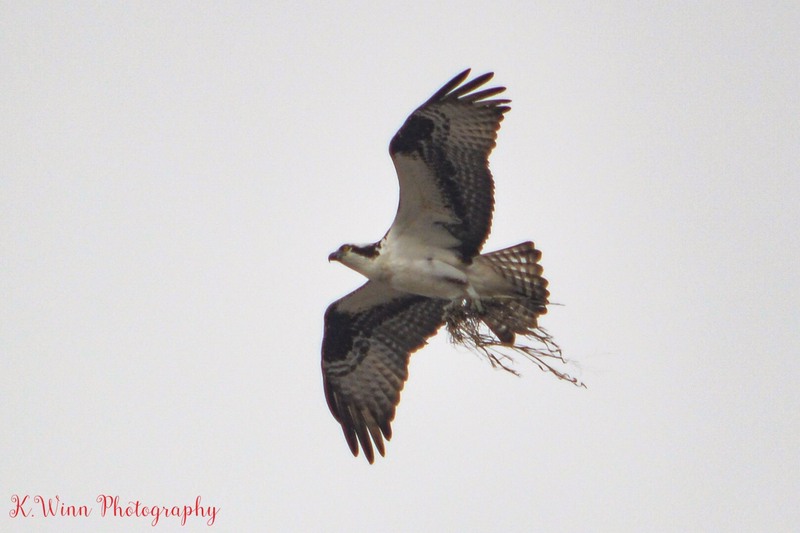 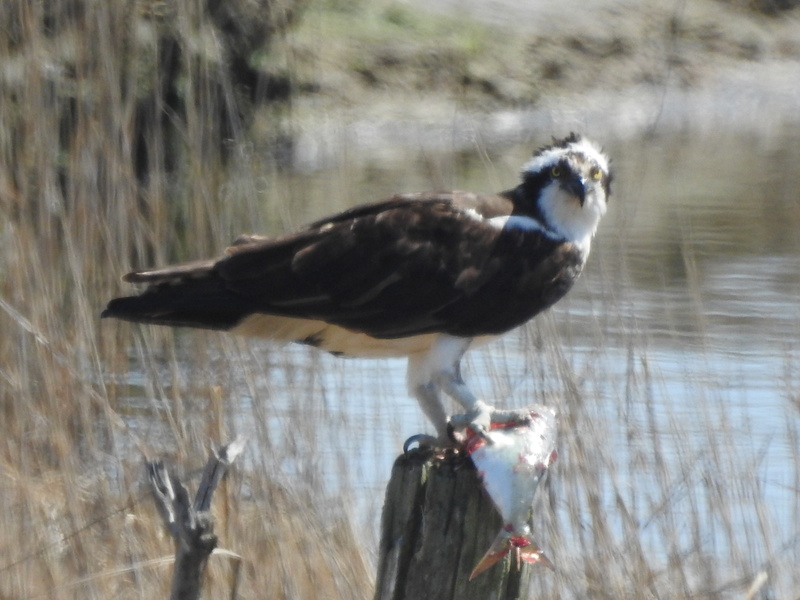 We have great news- the osprey have arrived along with Spring!!! 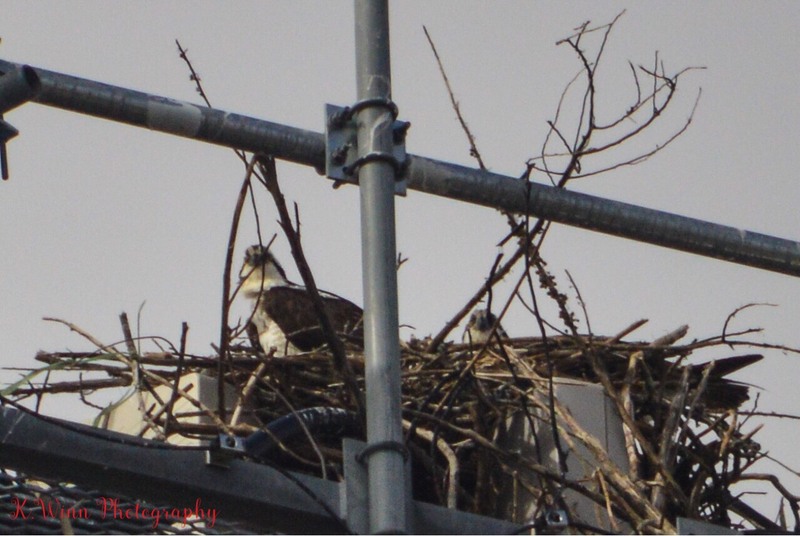 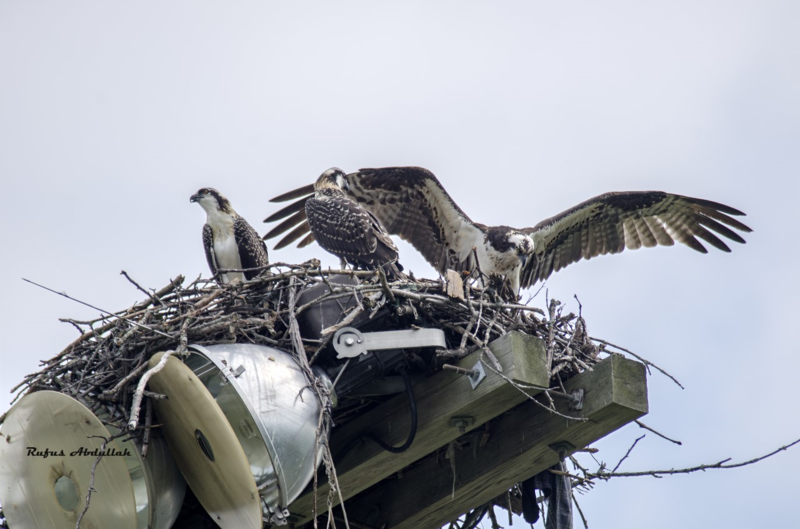 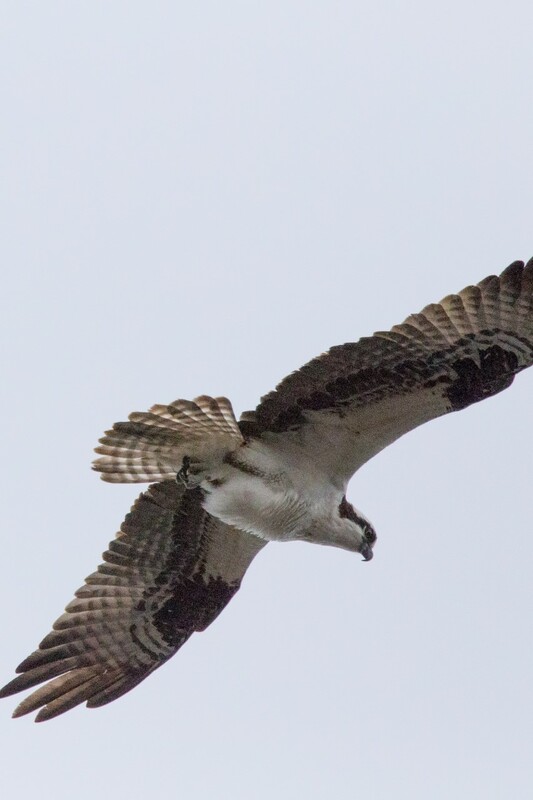 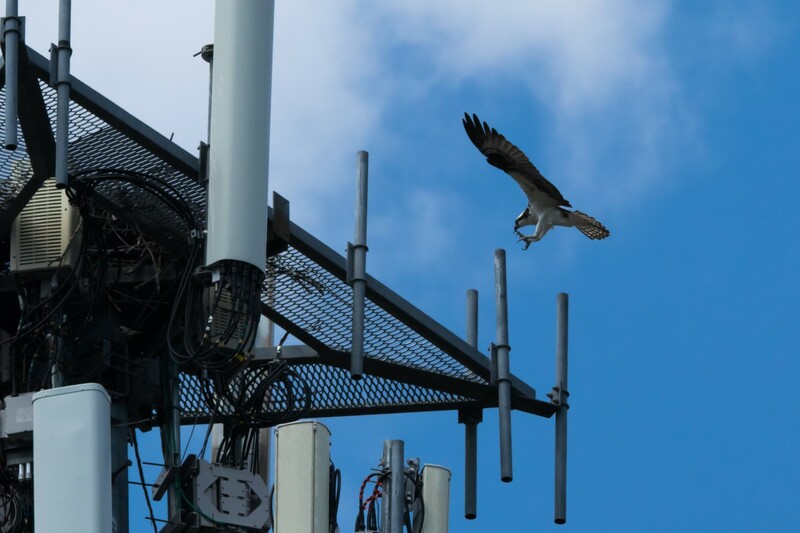 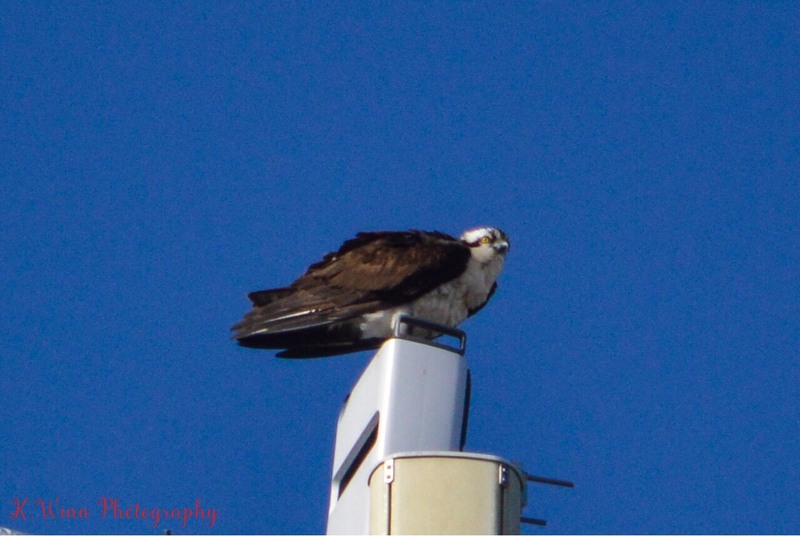 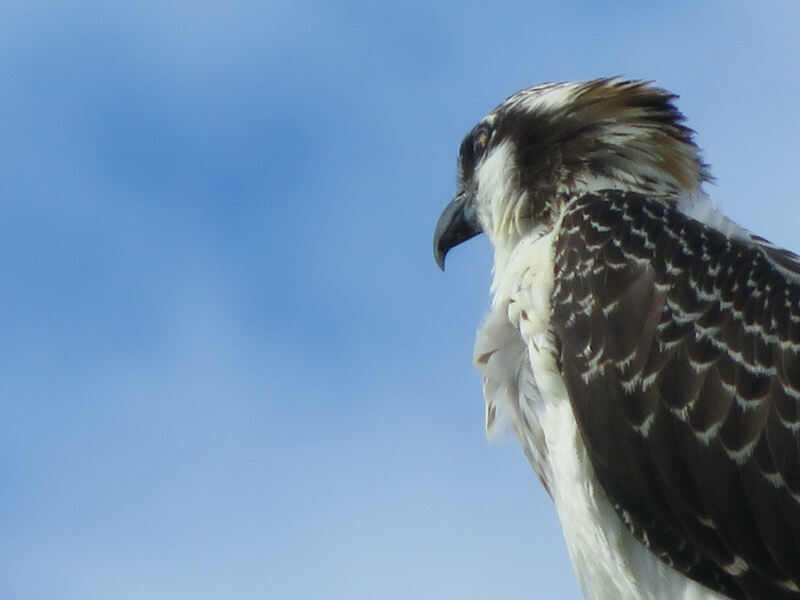 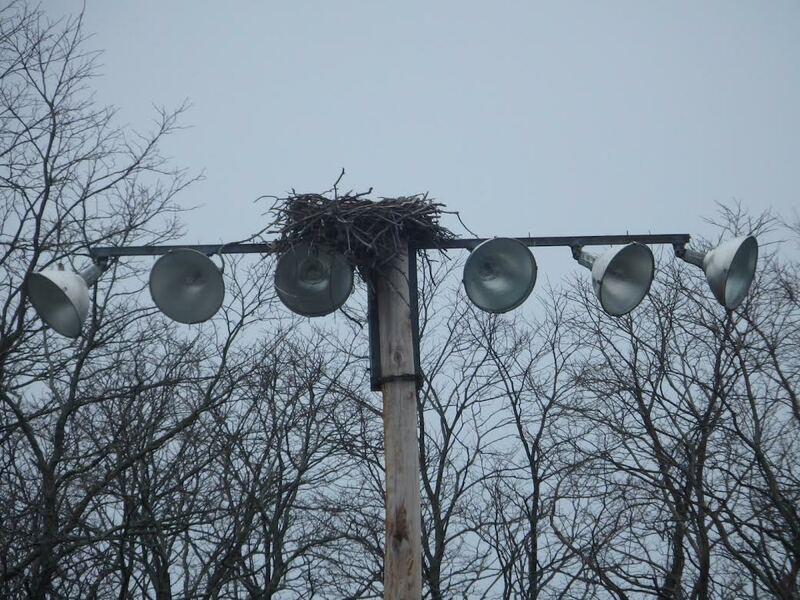 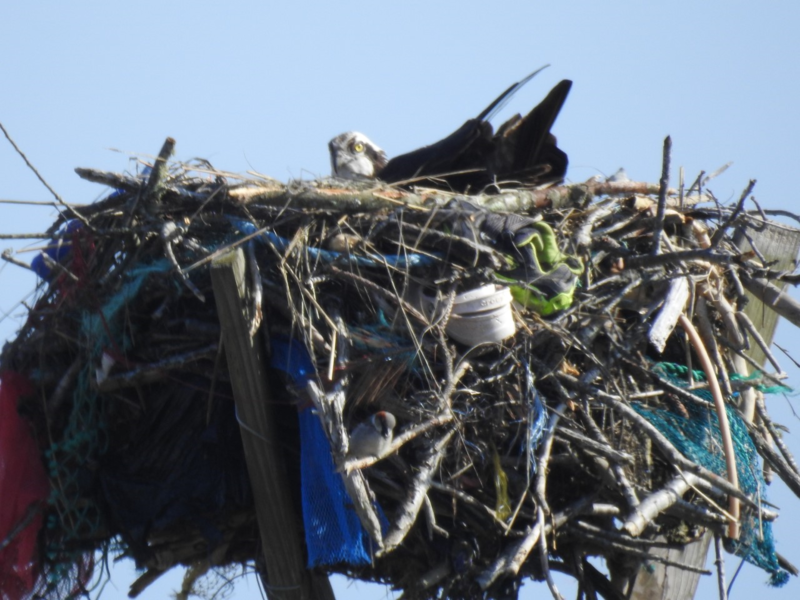 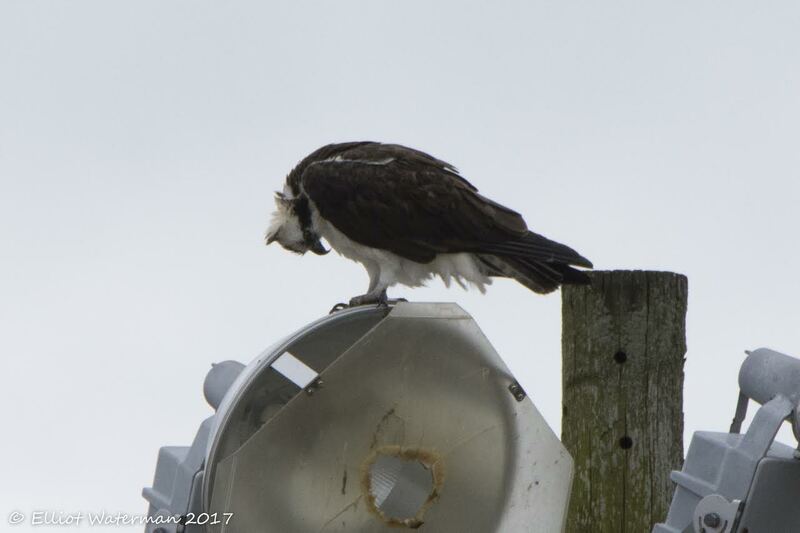 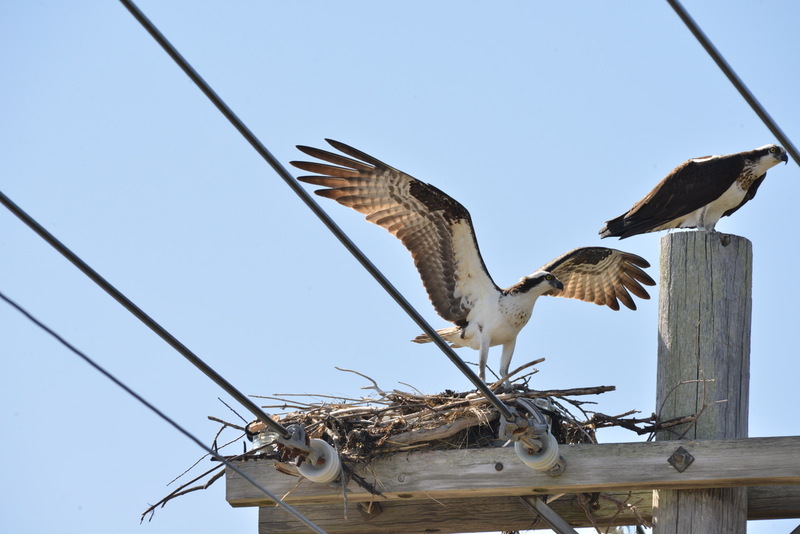 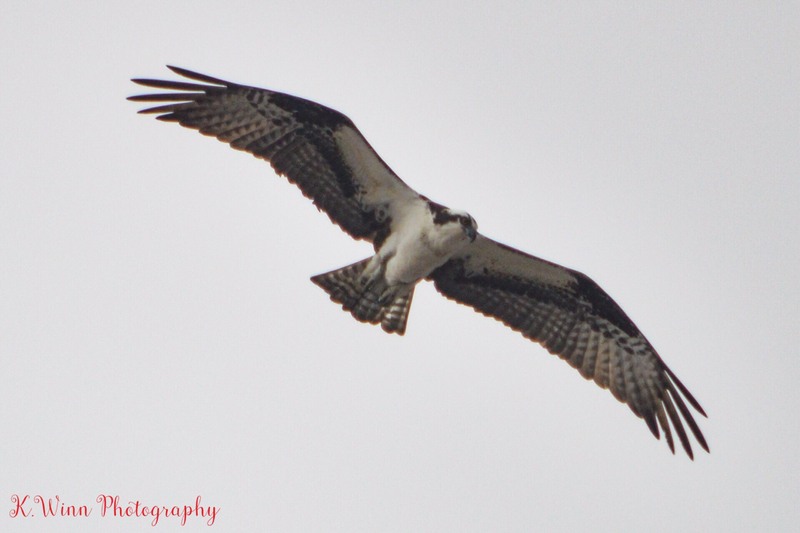 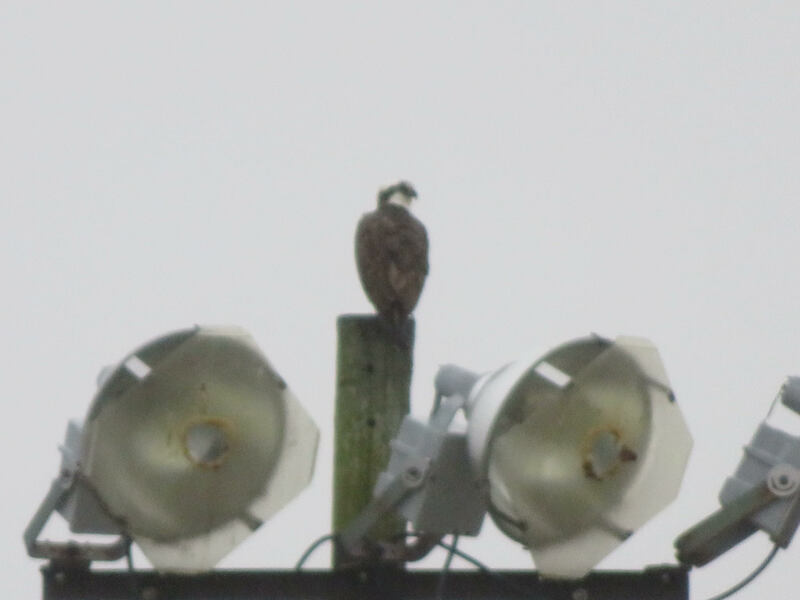 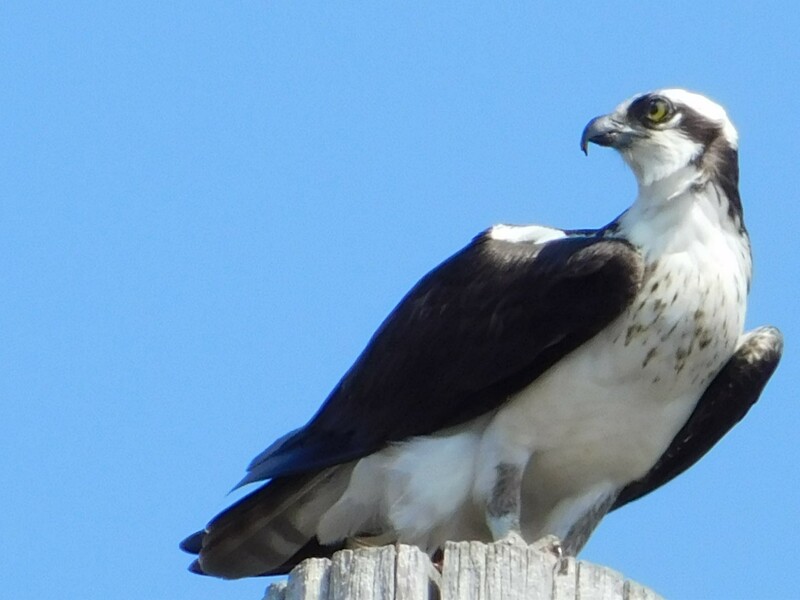 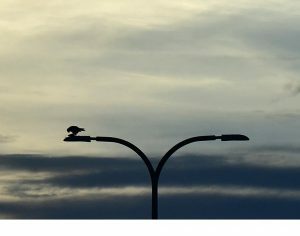 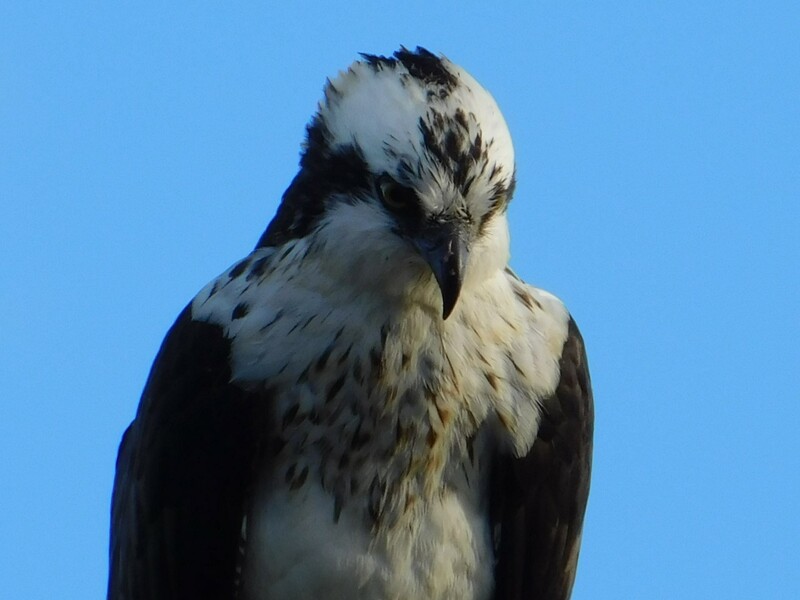 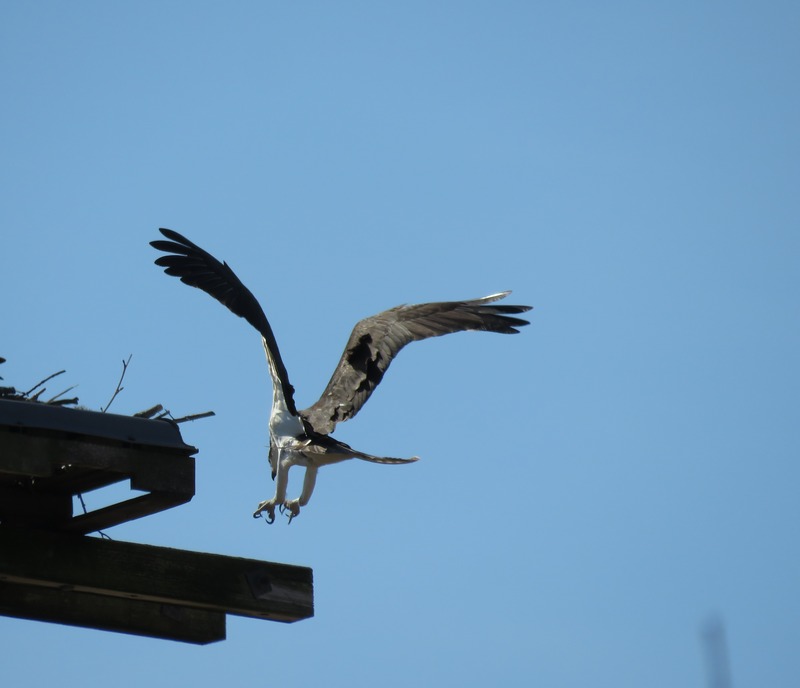 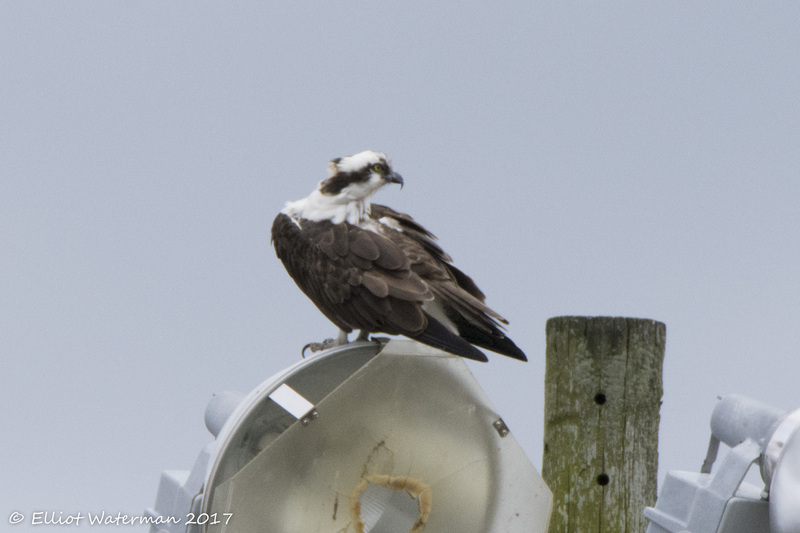 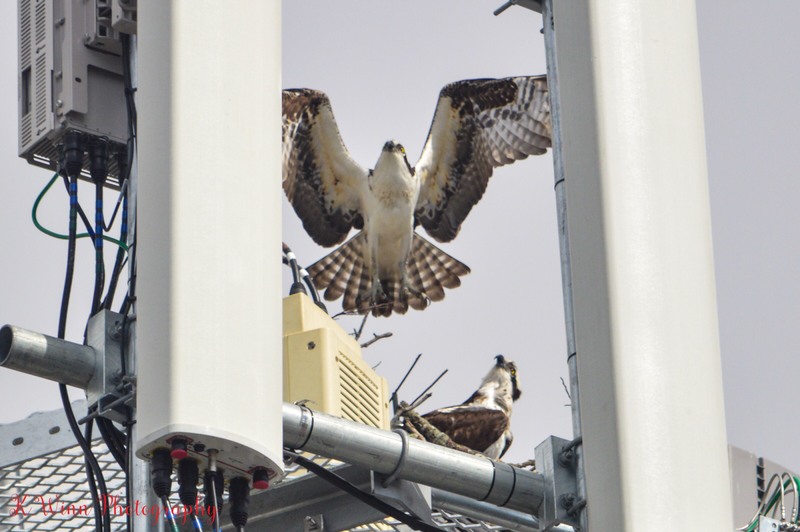 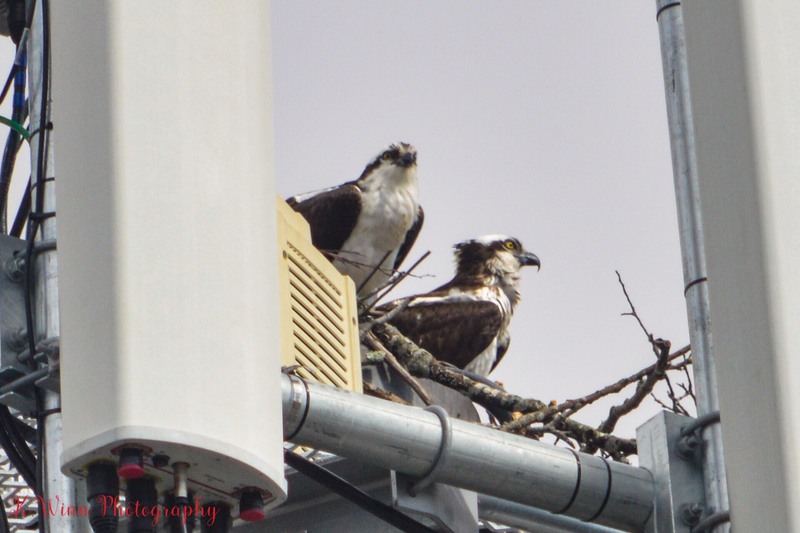 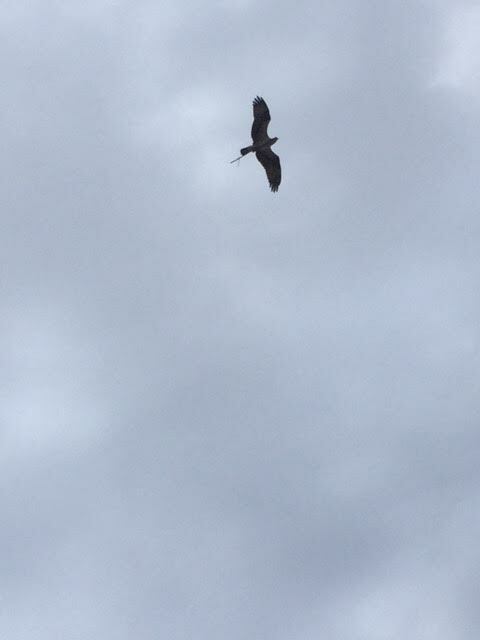 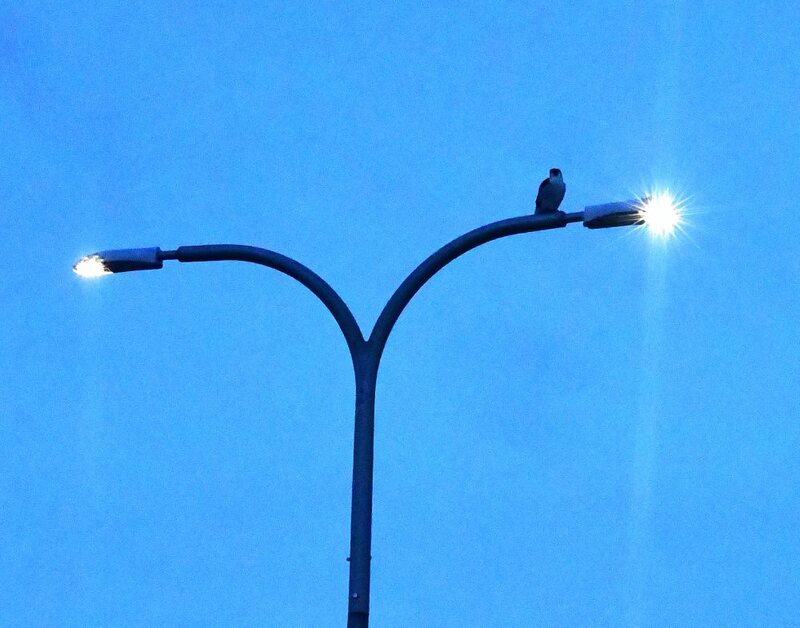 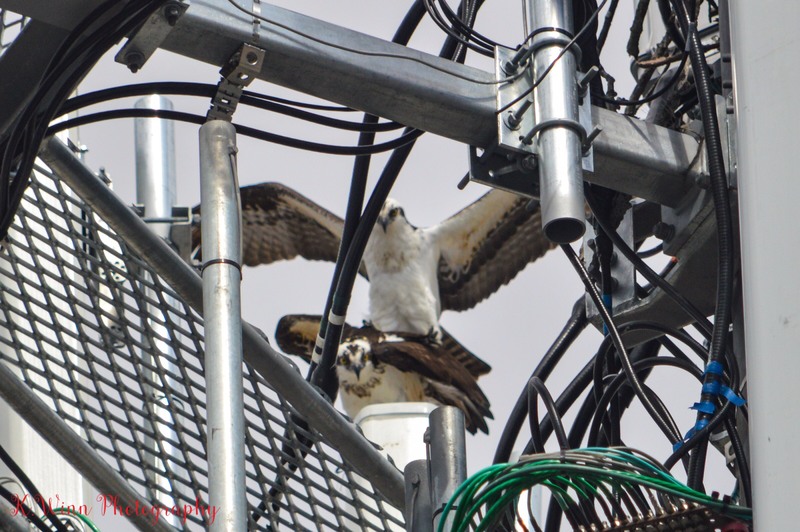 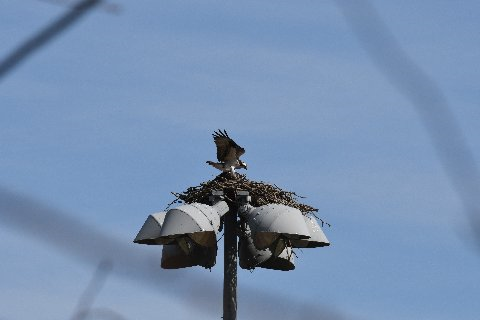 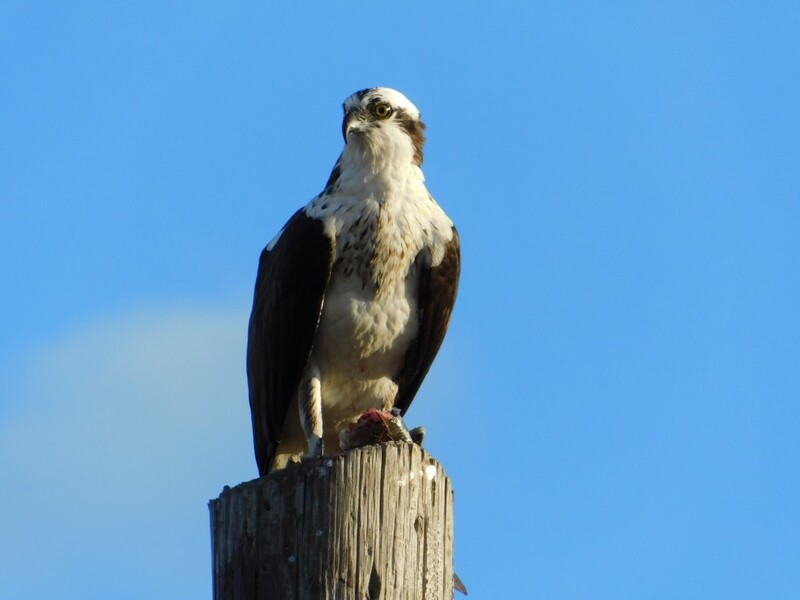 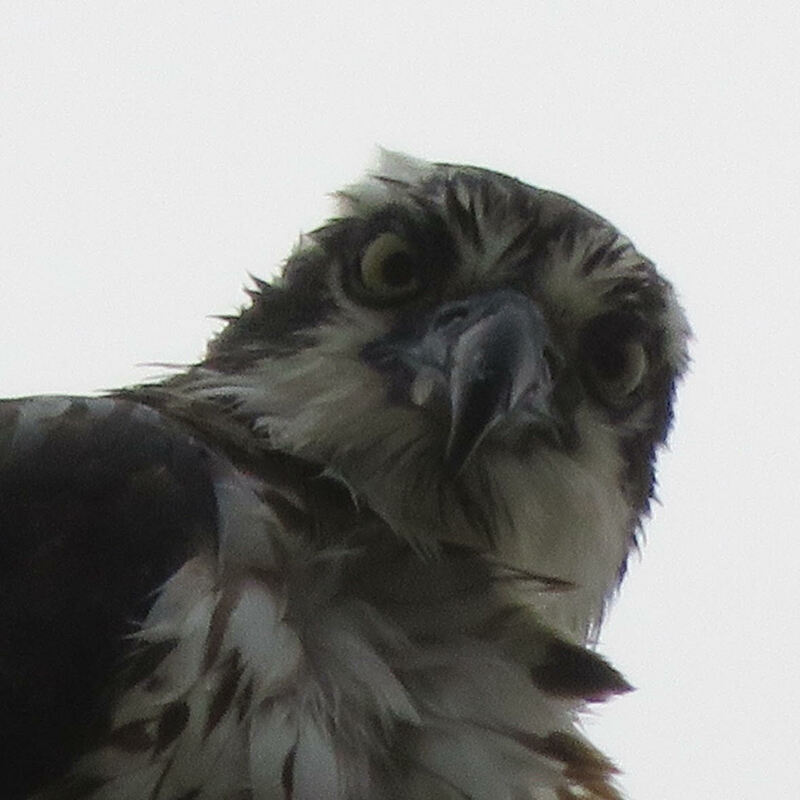 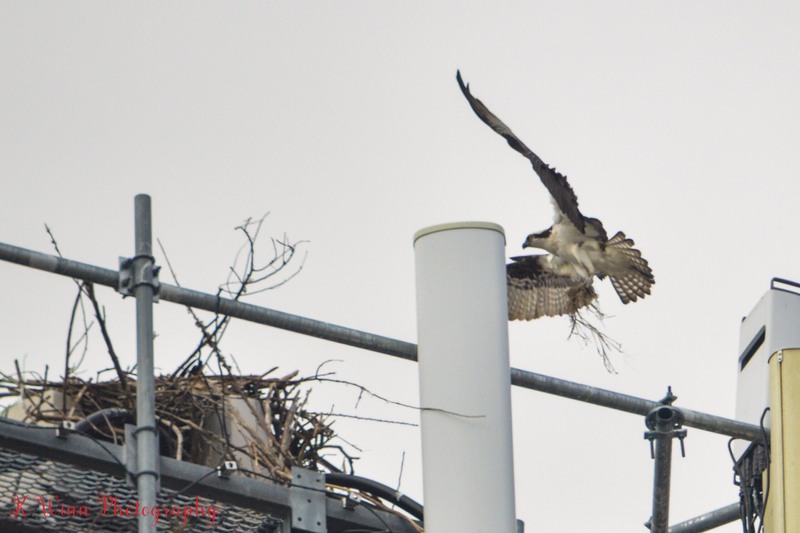 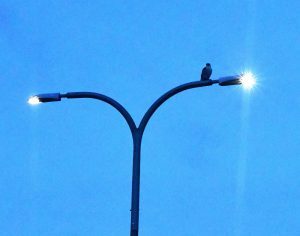 Gary spotted his first osprey of the season on the Jamestown bridge, perched atop a street light. 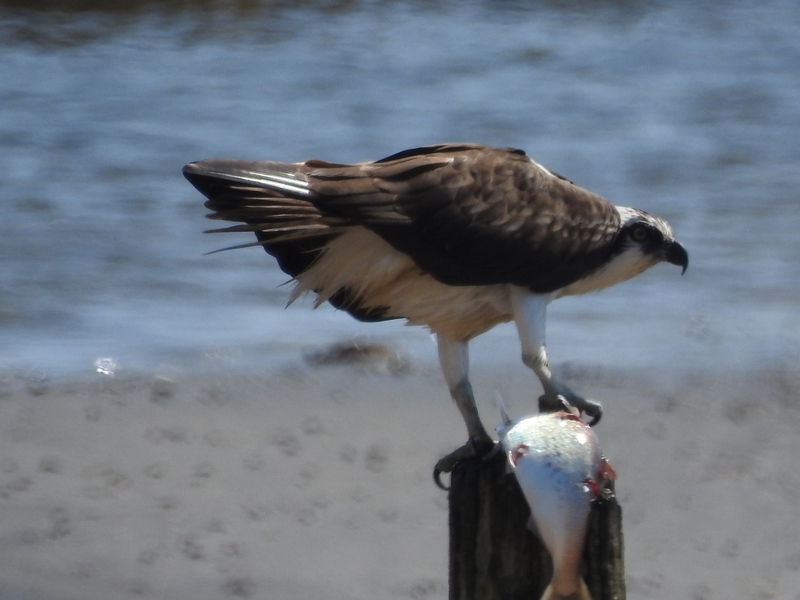 He crossed the bridge multiple times in order to get these great photos. 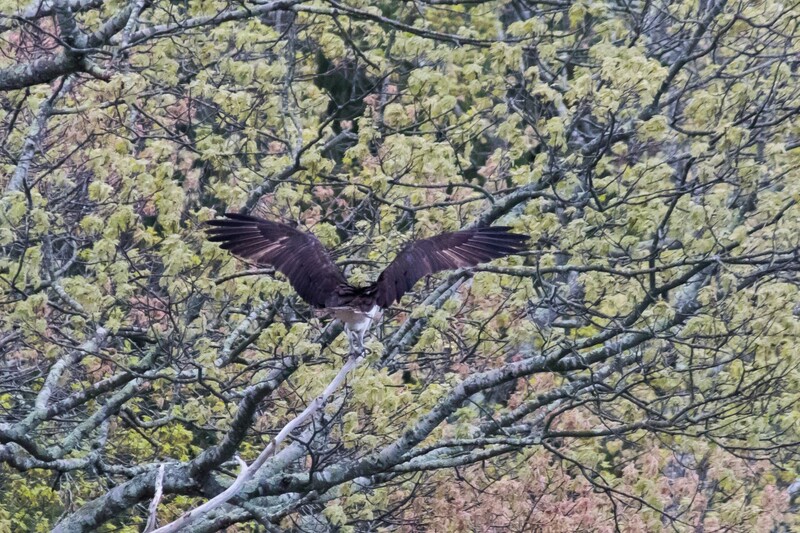 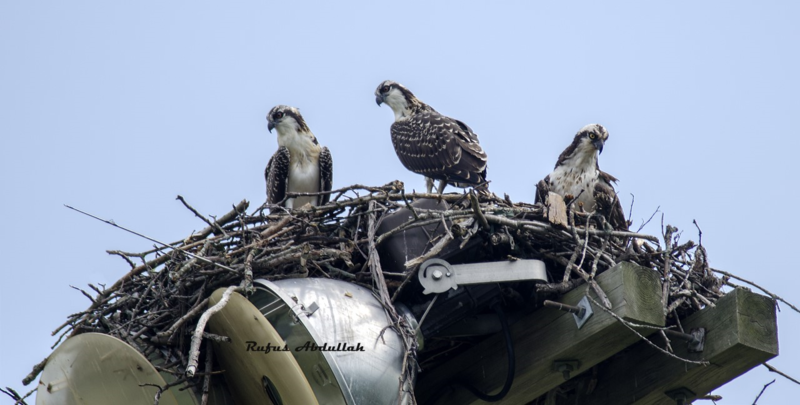 It is wonderful to see these majestic raptors returning to Rhode Island, and we are hopeful for a healthy and growing population this year. 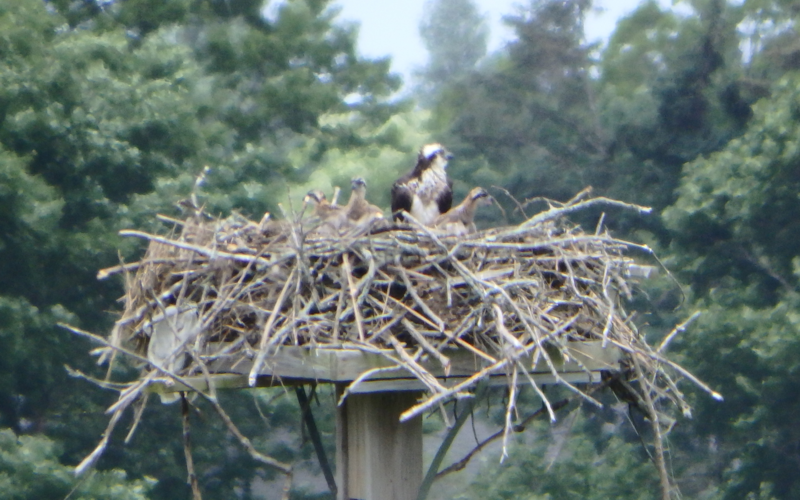 Soon nest building will commence, and chicks are on the horizon! 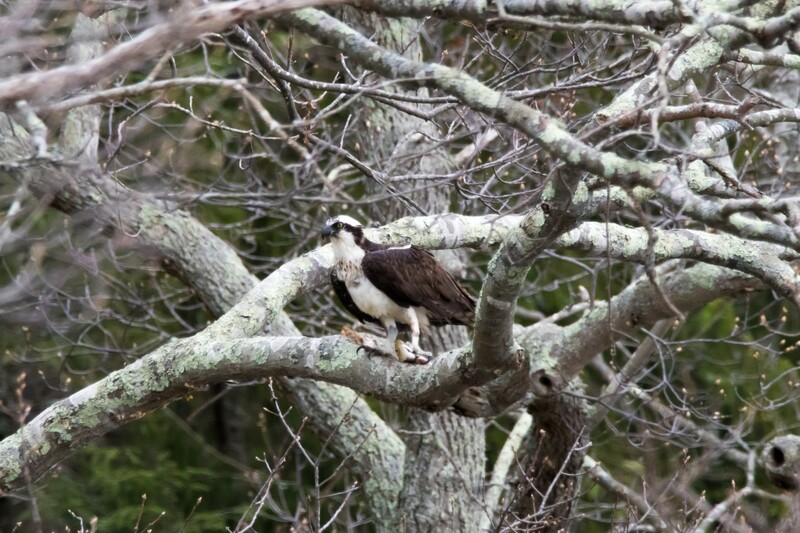 Jon is hard at work completing the nest assignments; this bird may be from one of your nests!